Anti-aging, body sculpting, and weight loss are just some of the treatments that are available at our medical spa. At Serrão Rejuvenation Center, Dr. John Serrão, a board certified gynecologist and post-graduate trained cosmetic surgeon, offers medical spa treatments for women in Orlando, Winter Park, and the surrounding areas of Florida. If you have tried to look younger, lose weight, lose extra fat, or any other endeavor to look healthy and young, you know that these undertakings come with challenges. The market is saturated with products and methods that sound impressive but do little to deliver on the promises. Medical spa treatments give women the real results that they want and deserve. Managed by a team of clinicians, the services use professional-grade products and systems that are not available to the general public. Dr. Serrão and his team of face and body rejuvenation experts offer MedSpa services that are both relaxing and invigorating. Many patients simply cannot believe what can be corrected with just a few treatments. 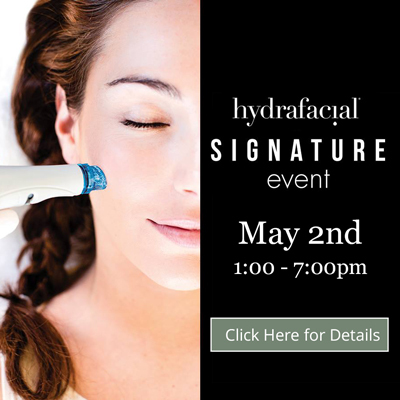 Learn more about the benefits at our medical spa. 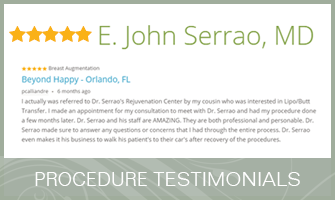 At Serrão Rejuvenation Center, Dr. John Serrão offers medical spa treatments for women in Orlando, Winter Park, and the surrounding areas of Florida. Contact us to schedule a consultation and begin your rejuvenation today with Dr. Serrão, a board certified gynecologist and post-graduate trained cosmetic surgeon. A MedSpa is similar to a day spa where you may go for a bit of pampering. The key difference is that, at a medical spa, the treatments are professional grade and only available through experienced, specially trained medical and skin care specialists. What Happens During a Medical Spa Consultation? With so many MedSpa treatments available at Serrão Rejuvenation Center, you may not know where to begin. This is why we recommend a consultation. During the appointment, you meet with Dr. Serrão to discuss your concerns and garner his recommendations. Where Are MedSpa Treatments Performed? Our medical spa treatments are performed at our practice. None of the services require a stay in the hospital. You simply come in, have the procedure, and go home the same day.